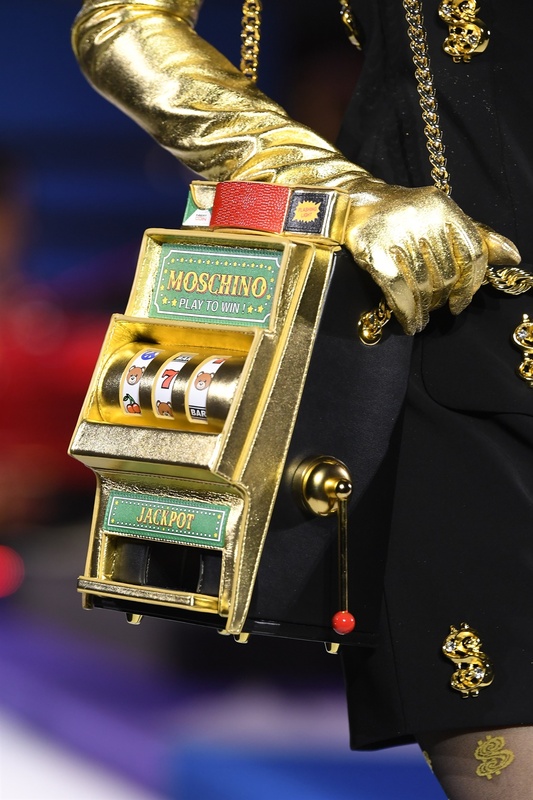 Moschino's latest collection is enough to make you nostalgic and it was one of the most entertaining shows we've seen in a long time. Nothing was off limits for the brand – toothpaste handbags, detergent backpacks and TV dinner jackets were all fair game. Inspired by the U.S television show, The Price Is Right, the collection has the most impressive combination of retro home life references. Self-proclaimed king of camp, Moschino creative director Jeremy Scott, told Vogue that this show is “pure old-fashioned escapism”. He told WWD that, for him, something about game shows captures the imagination. With this, the most eye-catching designs hit the runway. In true 80s style, Moschino styled its looks with perfectly teased hairdos and heavy eye makeup with ombre lips. But our favourite feature of the show is the innovative TV references. 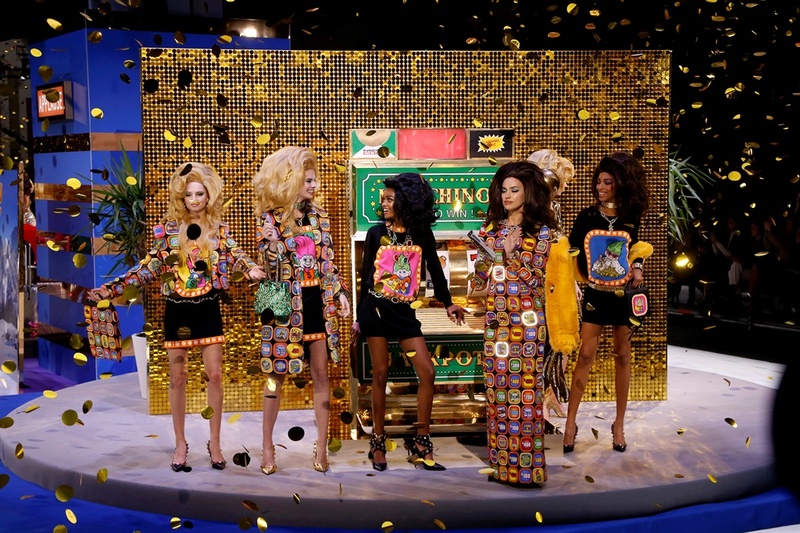 The 'cast' – including the likes of Joan Smalls, Bella Hadid and Hiandra Martinez – brought the game show theme to life as they fully committed to their roles. Honestly, they were Emmy-worthy performances. The dollar sign patterns and money note prints made a strong reference to capitalism's holy grail. Pity, no cash prizes were won.